Grab the opportunity to join the Driver CPC training at Dhoot Driving School centre in Balham, London, along with LGV/HGV training and PCV training. Today our life is full of mobility, running and craving to achieve more. Perhaps we have wheeled ourselves where there is a dire need of automobiles that can access our mobility. In order to run a vehicle driving is must to be known criteria for our smooth and safe journey. Whatever vehicle we possess it is our valuable property, to drive it through the jagged streets needs a good quality of experience. Even if you’re an experienced driver, it’s always good to brush up on the basics. So it will be prudent decision for you to join the Dhoot Driving School centre in Balham, London as they reveal excellence in different types of driving techniques such as LGV/HGV training, PCV training and also Driver CPC training and also for the refresher training courses. We provided beneficial offers at this centre that suits the requirement of each and every learner. At Dhoot Driving School centre in Balham, London our trainees are accessed to pass the driving test in order to avail the driving license. Not only we provide study materials in different language other than English but also classroom coaching because the trainers of our school are multilingual so our students get flexibility to communicate and understand the concepts. It becomes the greatest responsibilities of our trainers who are all trained ADI and registered with Driving Standard Agency (DSA). We understand your aim to become a skilled driver so practical knowledge of driving is not enough one need to learn the theoretical aspect also to get the perfection. Our Dhoot Driving School module is well aware of this aspect and its importance that is why, their learning modules is well equipped with full fledged theoretical information about driving. (A) LGV/HGV training: The HGV training is a distinctive form which requires 7 to 8 months to complete and you can get the permit to go by car industry. Whereas the LGV permit for the largest vehicles are split up into two categories, C and C+E. As the name suggest, the license for this training depends on the weight specifications of the vehicles only. Some of the categories of training that you can avail are C1 Â¬+ E â€“ license, C1 + E â€“ 7.5t + trailer, C up to 32 tons, C + E truck and trailer. (B) PCV training: PCV is the abbreviated form of Passenger Carrying vehicle training that would permit the qualified course candidate to handle hefty vehicles in classes D1, D, D+E and D1+E. This training deals with the public carrying vehicles and depends on the number of passengers on board. Some of the sub categories in this training include D1 Minibus, D1+E Minibus & Trailer, D Automatic Bus, D Manual Coach. Of these, the D automatic and the D1- minibus are meant for the manually driven vehicles only. This training program is meant ideally for the articulated vehicles only. Here you have your own will to choose which kind of automobile you want to drive and the number of carrying passengers. (C) CPC Driver Training: CPC is the abbreviated form of Certificate of Professional Competence. This training stands for the competent professionals. It is mandatory to acquire the certificate of CPC Driver Training, along with PCV, LGV/HGV Training certificates. To get this training certificate, you have to undergo an extensive training of 35 hours, within a course of 5 years. There are CPC driver modules and the driver CPC case studies for your reference in this regard. There are the CPC theory tests that you have to pass and in that case, initially you can avail the driver CPC modules 4 and 2 in this regard. 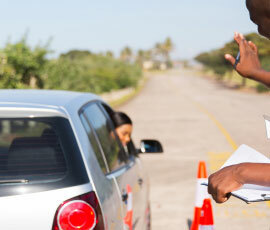 To obtain a driving license requires a lot of furnished documentation. This requires a lot of furnished documentation. Complete help in filling up of the medical form and the provisional entitlement form is provided by us. We also take care about sending the completed forms to the concerned authorities of DVLA on your behalf. Along with these trainings some other services that you can avail from us at Dhoot Driving School are the pass protection and the PCV pass protection services. 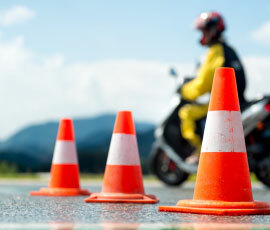 These services ensure that you can reappear for the driving tests in case you fail to clear the test in single attempt. It is the opportune time to grab the chance of learning how to drive so you can join us at your will. Our motive is your complete satisfaction so you can also avail a refund of the money in case you are not satisfied with the training program in the middle of the training. We are looking forward to get in touch with you.